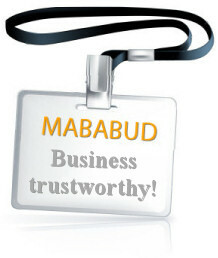 MabaBud Repair & Construction Company was founded in 1991. We specialize in comprehensive adaptations and redecorations as well as in finishing interiors. At the request of our clients we also produce a comprehensive realizations of the projects: design and interior design. We provide advice on the selection of building materials, furniture and all the equipment. Architects and interior designers cooperating with us by drawing inspiration from contemporary art and traditional forms, will try, with Your Participation, to create the interior that fulfills the vision of a perfect interior. They may also provide supervision of the performed work. Our company pays special attention to quality, high standard and timely execution of our services. We have skilled, experienced and permanent staff. Many years of practice and essential qualifications enable us to provide services at the highest level. The trust that customers place in us gives us not only satisfaction, but also motivation and commitment to further intensive work. in trade magazines: "Dobre wnętrze", "Ładny dom", "VILLA" and French edition of "Elle Decoration". To confirm the quality of our services, You can see our references lists, demonstrating the satisfaction of our customers.